Enjoy the beauty of lavender without the hassle of caring for a live plant with the Drum Brush With Lavender by Eurogreens Art & Crafts. 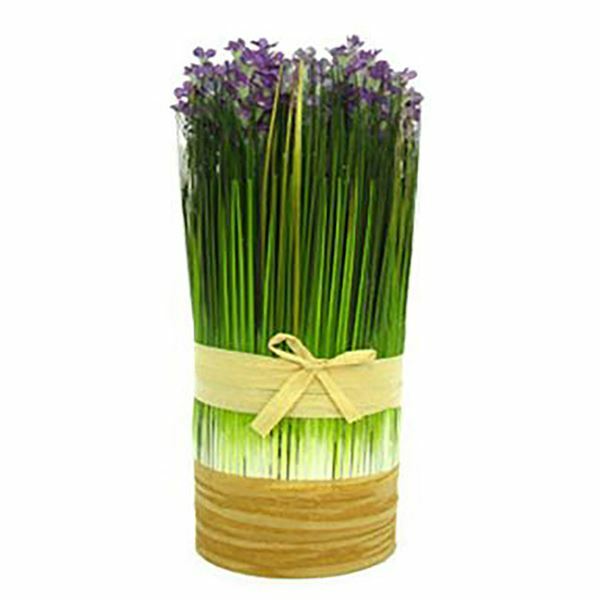 This faux lavender plant has a base wrapped with natural-toned wood as well as a pretty bow. Enjoy the beauty of lavender without the hassle of caring for a live plant with the Drum Brush With Lavender by Eurogreens Art & Crafts. Drum Bush with Lavender from Eurogreens Arts & Crafts.